Hope you like it this far! If there wasn't glue in the background, i couldn't tell it's a mini. Beautiful! I especially love the transissions between the animal and human skin. Also a nice shield. Is it a freehand? 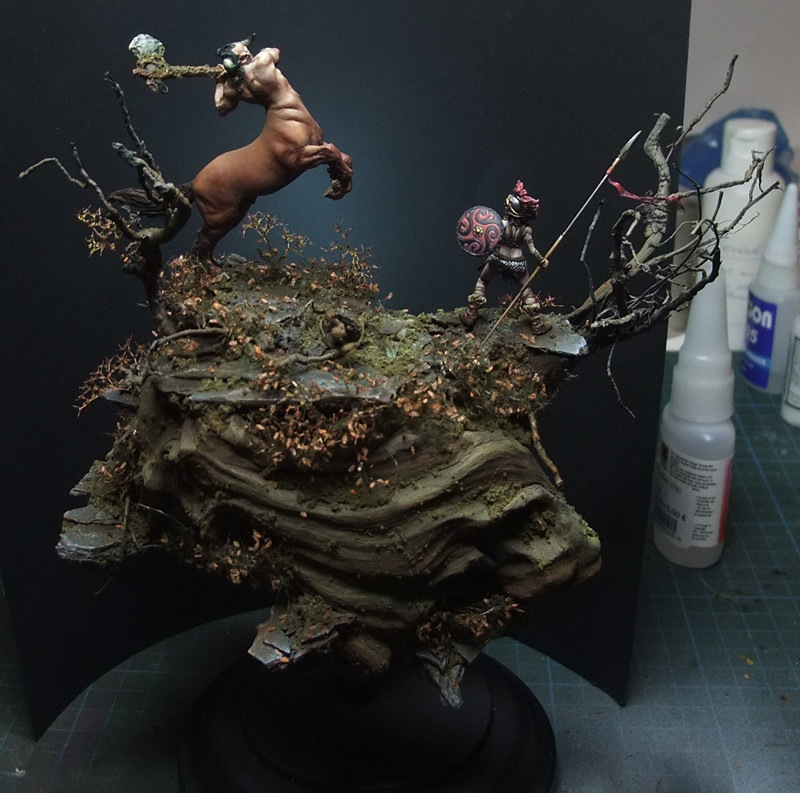 i really love you dioramas, and this one esceed its self for being so delicate and original but I must say I really hate those wooden sockets. In this case and in many others it just breaks the illusion and doesnt add nothing. being black makes them a little better but they are just plain ugly. 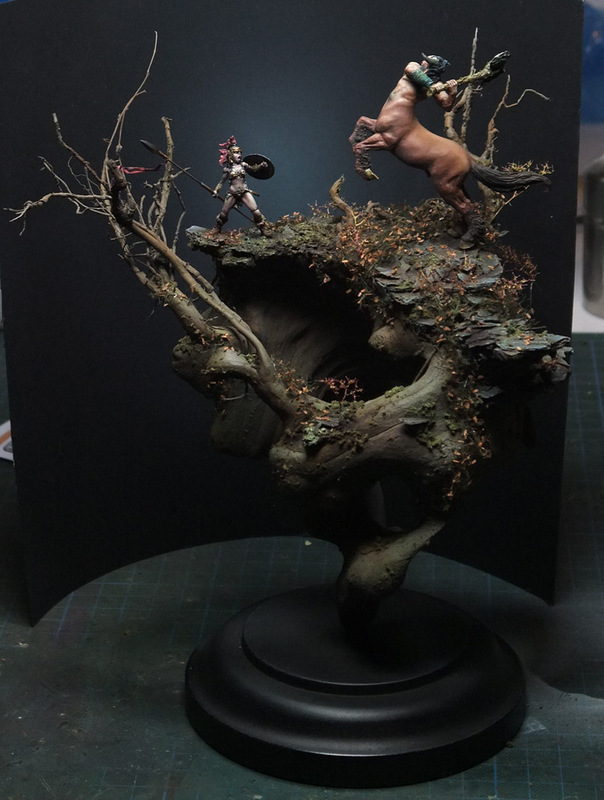 I really get disapointed when seeing a great diorama wih this nearly baroque frames and name plates. it may seem that im overreacting, but as you show in your minis: details matter "god is in the details"
There is a big pin connecting the wood to the ground... without such a big base it would move and eventually fall over.